Creating a unique and fashionable style doesn’t have to be difficult. You don’t have to be a model to pull it off. This poncho has very rich texture and makes a stunning piece for any outfit. It’s intended to be oversized. You will look extremely sleek and stylish. 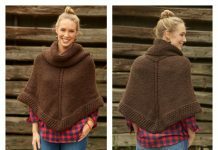 This Catawba River Poncho Knitting Pattern is a fantastic choice for those who want to add a touch of pizzazz to their cooler weather wardrobe. 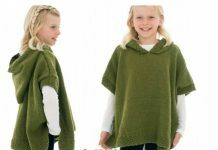 This poncho is worked in 2 pieces and seamed at the shoulders. The link for the paid pattern is provided below photo. Happy knitting. 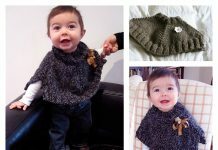 You might also like Lovely Sleeved Poncho Free Knitting Pattern.